The crystal clear water of the Ionian islands has to be witnessed first hand, it is said that the sea is so blue that it reflects on the undersides of the seagulls as they fly across the water! 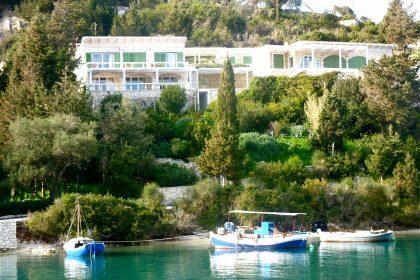 It is possible to charter a yacht or motor boat to explore the hidden beauty in every bay, drop the anchor and swim through the mysterious caves that dot the coastline. The local restaurants are of a good standard serving both traditional Greek food and the most delicious Italian cuisine. 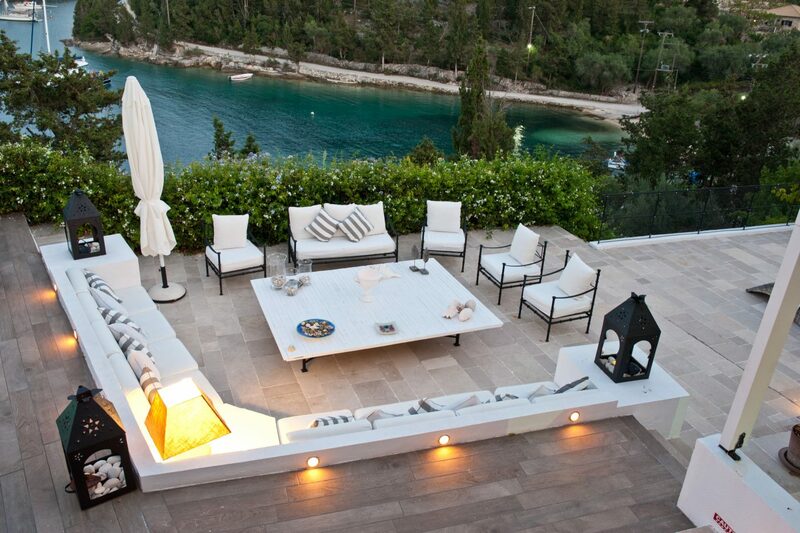 Eating out on Paxos is a total pleasure. 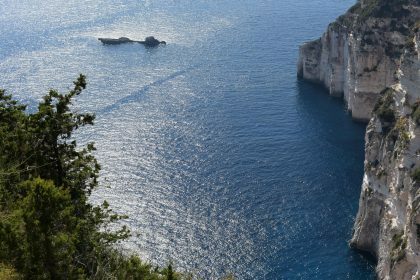 White pebble bays on the east coast and majestic white cliffs and deep caves on the west give families a range of things to explore. 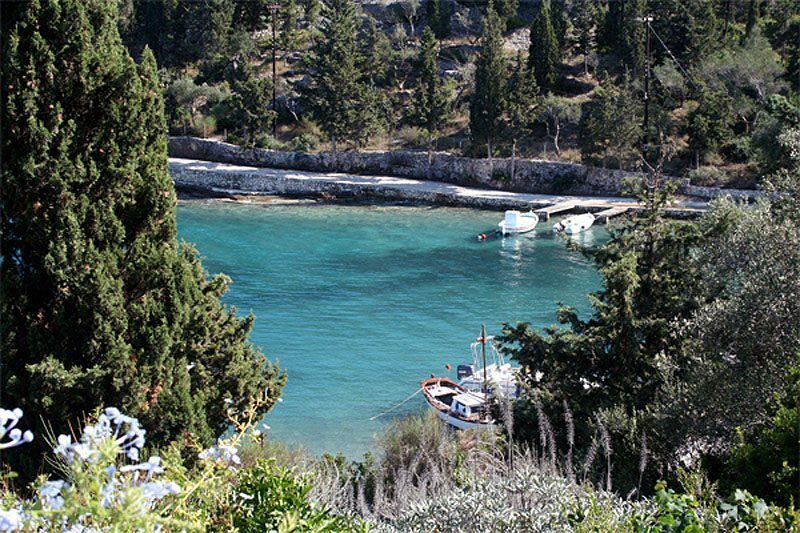 For the “intrepid” there are walks through flower filled olive groves, gentle fishing, snorkelling and diving. 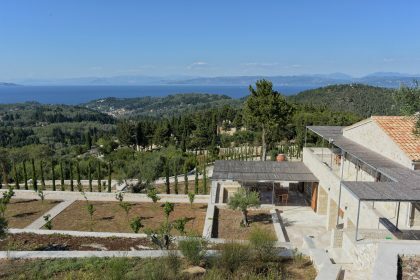 Head to the white sands of the nearby island of Anti Paxos and fill your head with the most extraordinary views from the high up taverna – you will be thinking of them all winter long and should keep you going until your next visit! 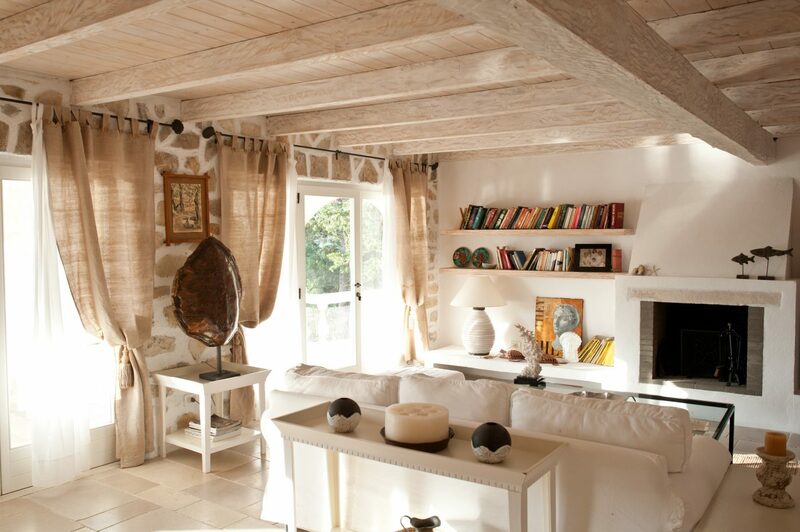 We love this house and so do our guests! 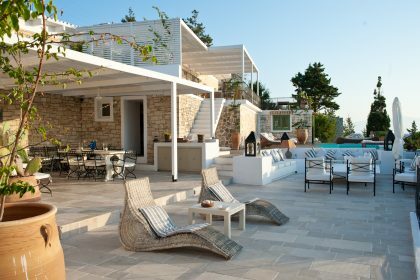 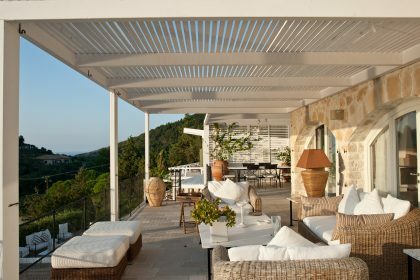 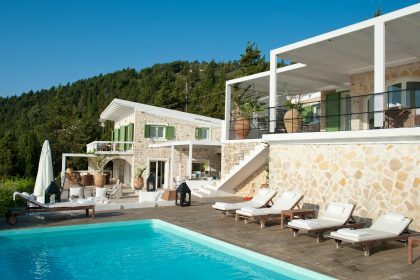 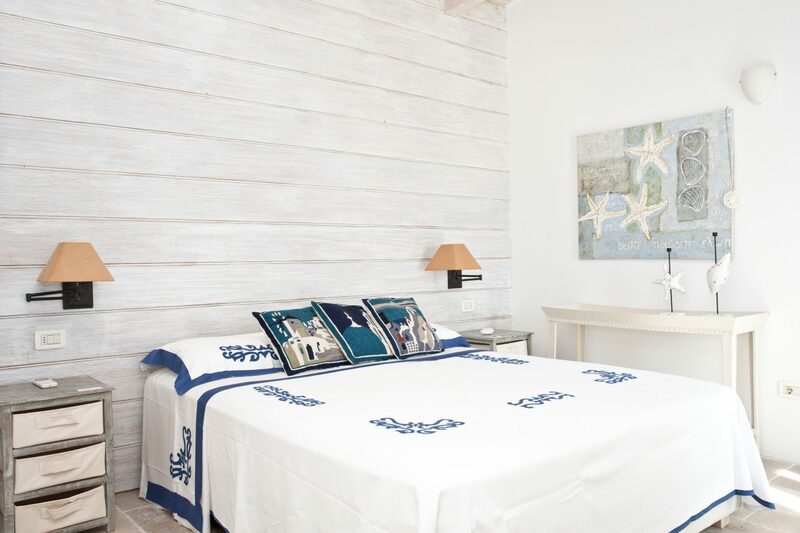 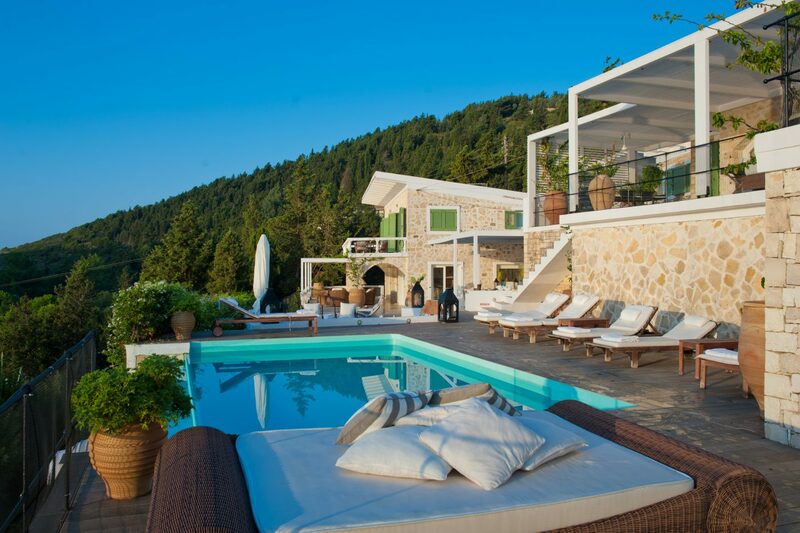 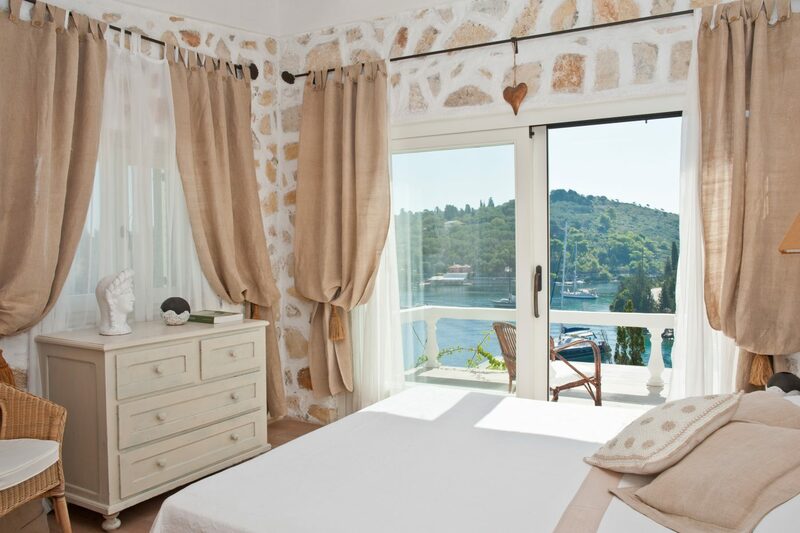 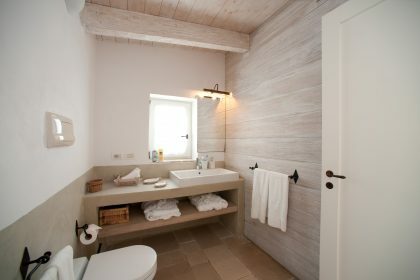 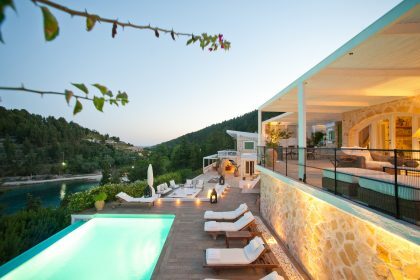 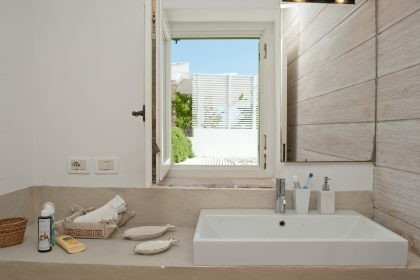 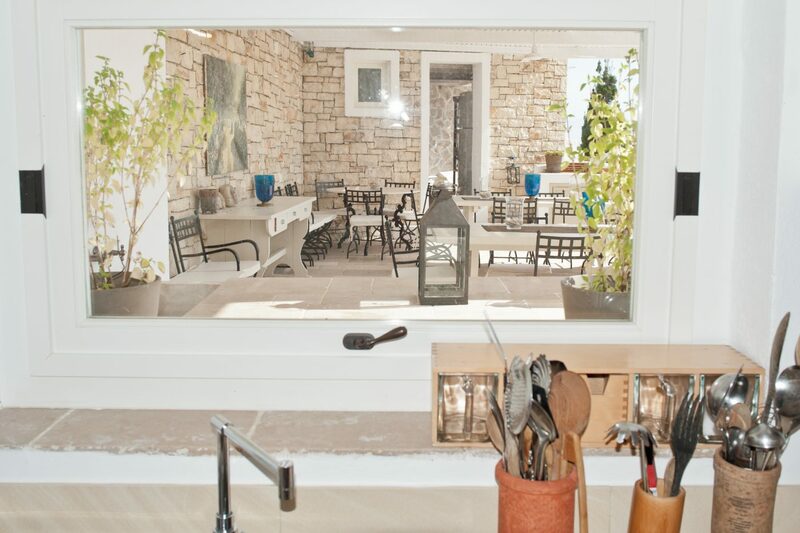 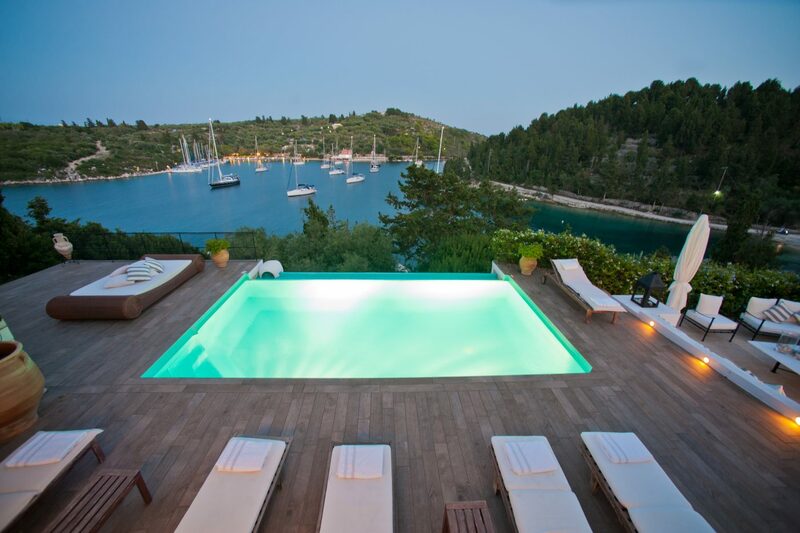 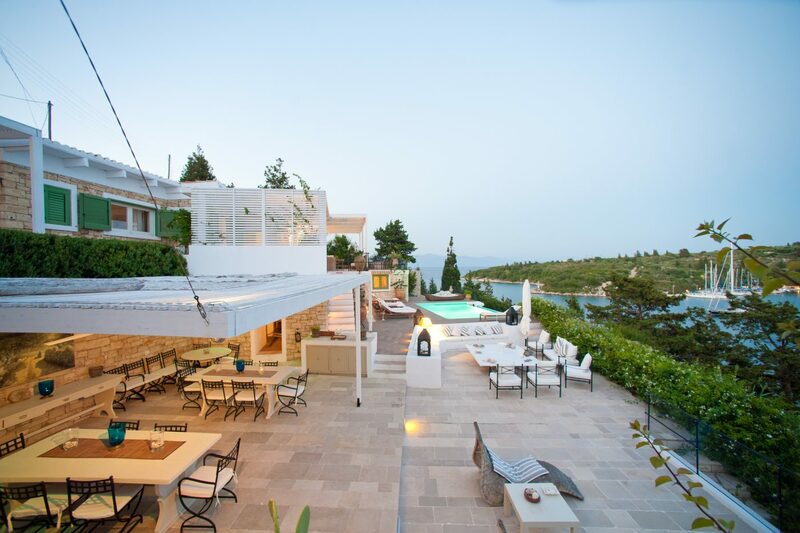 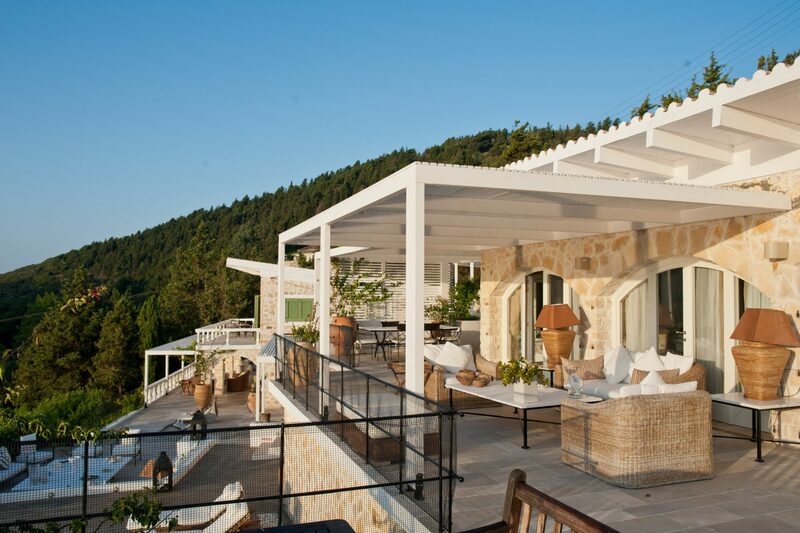 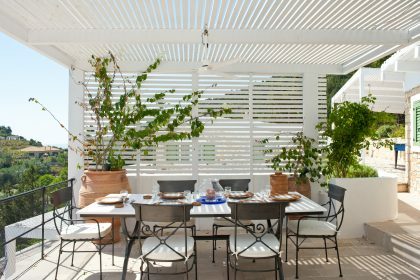 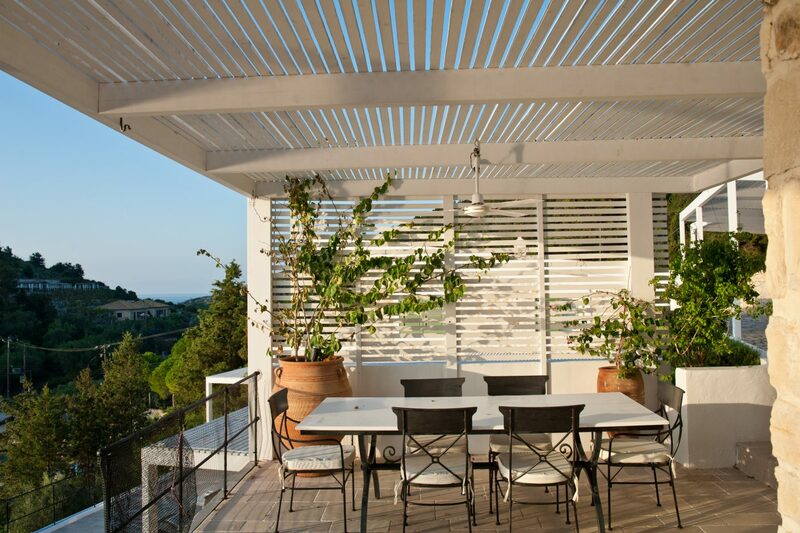 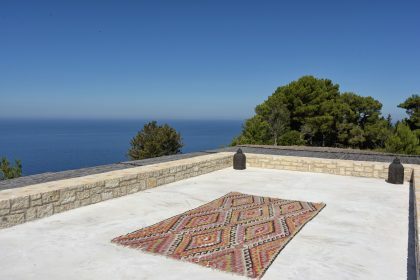 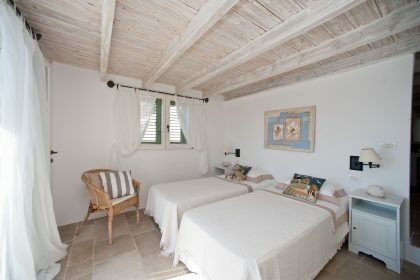 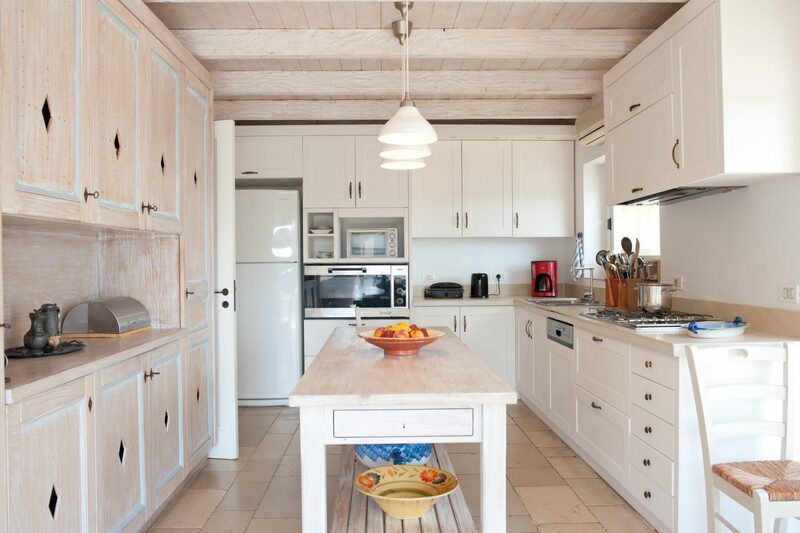 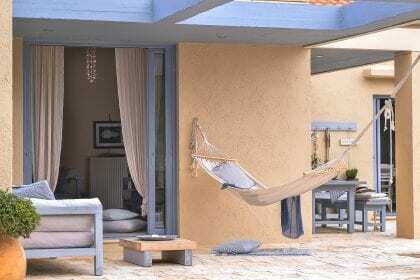 This privately owned villa in the south of Paxos is one of the very best places to stay on the island. 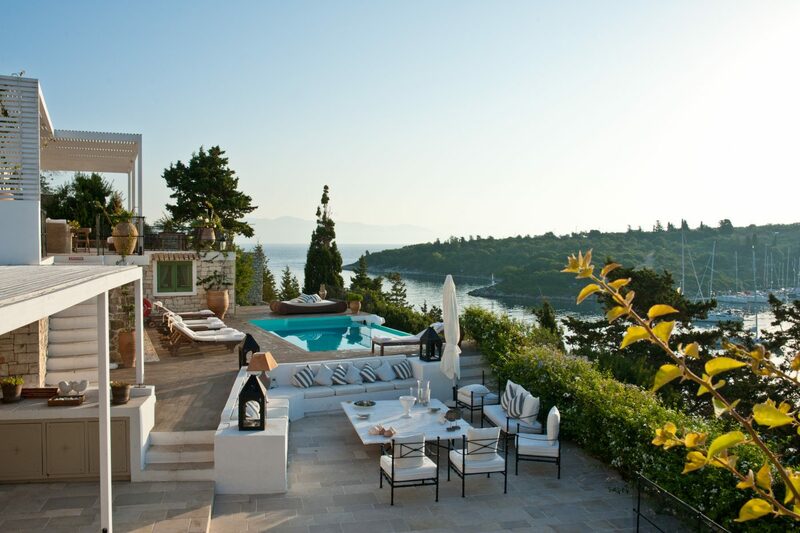 The utterly glorious and sprawling villa is in the most magical position overlooking the secluded bay of Mongonissi. 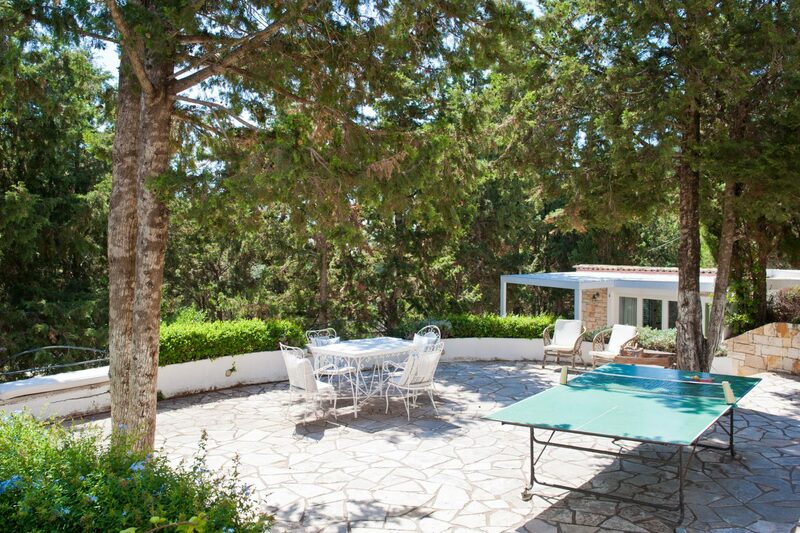 It would be perfect for two or even three families looking for a large villa with space and views. 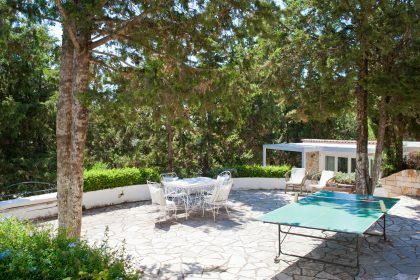 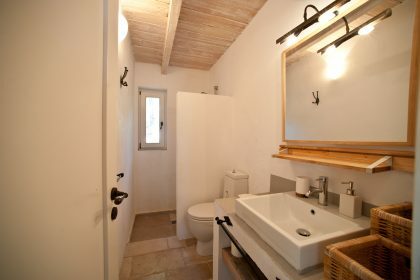 The property is made up of two larger houses side by side each with their own beautiful kitchen and comfortable living areas (the property can be taken as a whole or just one house). Between the houses is the stunning horizon pool which looks out at the sea below the garden. 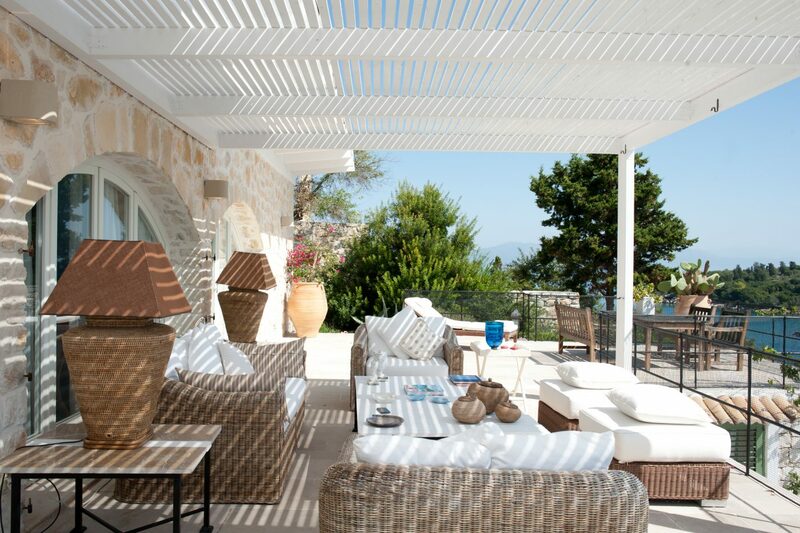 Comfortable decking surrounds the pool which is the perfect place to soak up the rays. If sunbathing isn’t your thing fear not, there are about 5 different places you can sit in the shade to enjoy the latest bestseller or snooze after a long lunch. 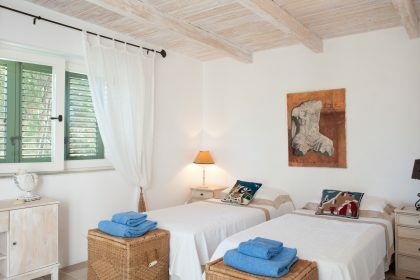 What we love about this house is the variety of places to spend time, there is even a small studio apartment which would be perfect for a nanny or cook – or for teenagers who want to be apart from the rest of the family. 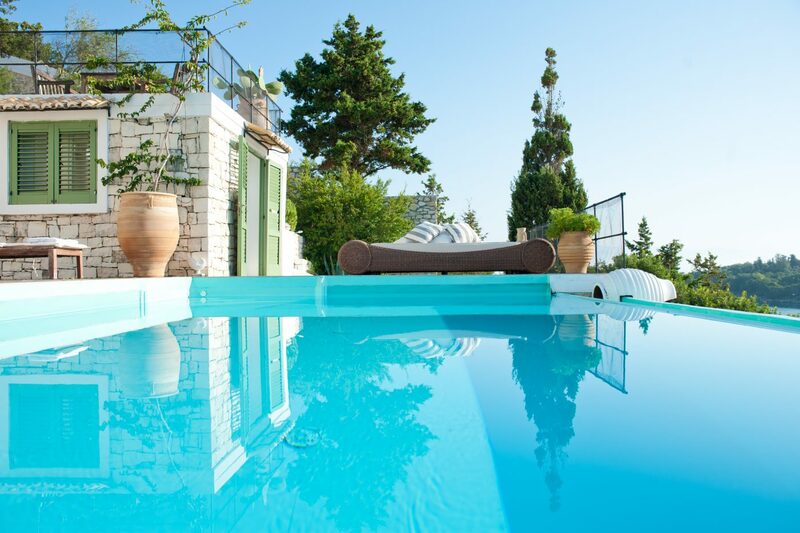 There is a small beach just below the house which is ideal for a quick swim before breakfast – the brilliant blue Ionian is so tempting when you are living so close to it. A sandy beach opposite is a short drive or a quick boat trip and just perfect for the children. 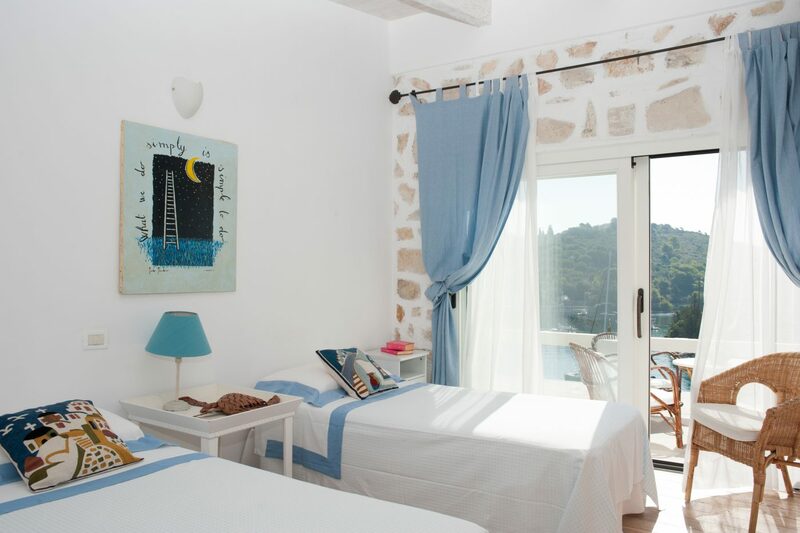 Two beaches within 5 minutes of your bedroom is hard to come by in Europe. 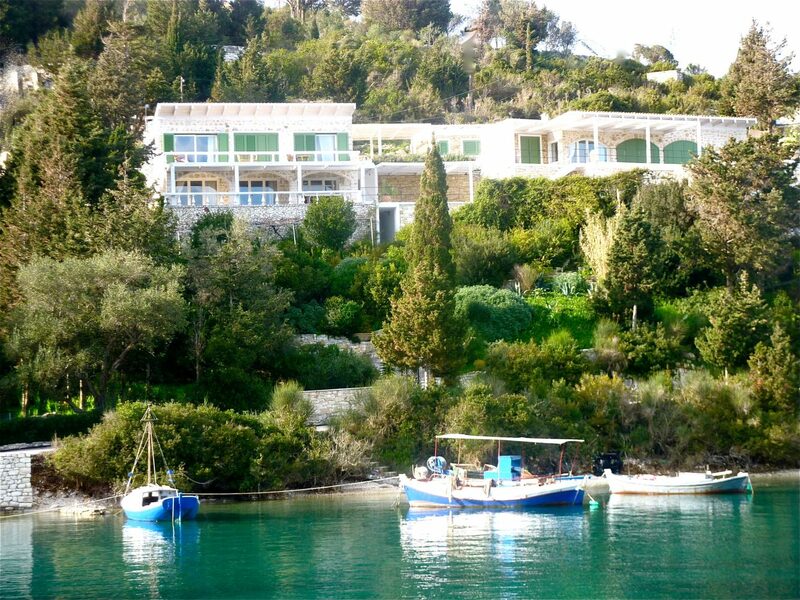 Moor your boat below the house for the ultimate in enjoyment. 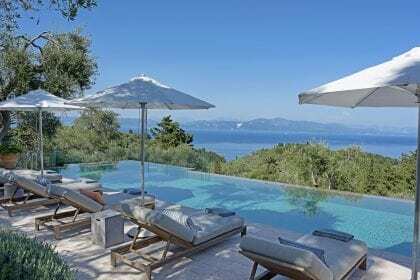 Nip across to Anti Paxos for lunch, travelling in style. Just heaven to come back to this wonderful house at the end of a long day on the boat and enjoy the views with a glass of cold white wine.